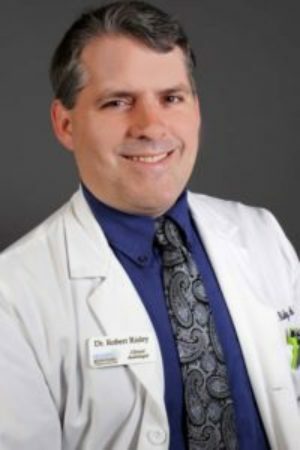 Dr. Robert Risley, Au.D., FAAA, earned several prestigious awards for excellence at Rush University in Chicago, graduating in 2013 with his Doctorate of Audiology degree. Additionally, he holds an M.A. research degree in neuroscience and hearing science from Northwestern University. Dr. Risley’s undergraduate degree in Biological Psychology is from the University of Illinois, Urbana-Champaign. He has published numerous articles in peer-reviewed journals and presented at both national and international conventions. Dr. Risley has a deep and personal connection with the hearing impaired. His father suffers from single-sided deafness and has a significant clarity speech processing difficulty with his better-hearing ear. His father’s clarity speech processing difficulty prevented his ability to participate in the U.S. Air Force and constantly hindered his social interactions with friends and family. Dr. Risley is from a small factory city where a large number of family members and friends have hearing problems from exposure to loud machinery noise. His father-in-law also has significant clarity speech processing difficulties. These personal relationships and his extensive training as an audiologist have made Dr. Risley aware of the social, emotional, and economic challenges faced by those with clarity speech processing issues. He is acutely sensitive to the effort and strain that comes from trying to hide clarity processing difficulties from friends and family. For all of these reasons, Dr. Risley is passionate about helping people become reconnected with the hearing world to lead a richer and fuller life. Dr. Risley’s extensive research background keeps him connected to the latest clinical research and enables him to provide the most up-to-date information, technology, and patient care at Hearing Health Center. He is committed to finding the best hearing solution for each patient. Dr. Risley is strongly involved in the audiology community, holds a position at the Illinois Academy of Audiology, and is an active volunteer and fellow for the American Academy of Audiology. When not at HHC, Dr. Risley enjoys spending time with his friends and family, trying out new restaurants, traveling, and reading. Dr. Risley has been with Hearing Health Center since July 2013, and practices in our Oak Brook and Park Ridge offices.